Pictured L to R: Dyami Plotke, Tom Iovino, Chris Adkins, Steve Schuler, Marc Spagnuolo, Wilbur Pan, Shannon Roger, Matt Vanderlist, and Ellis Walentine. 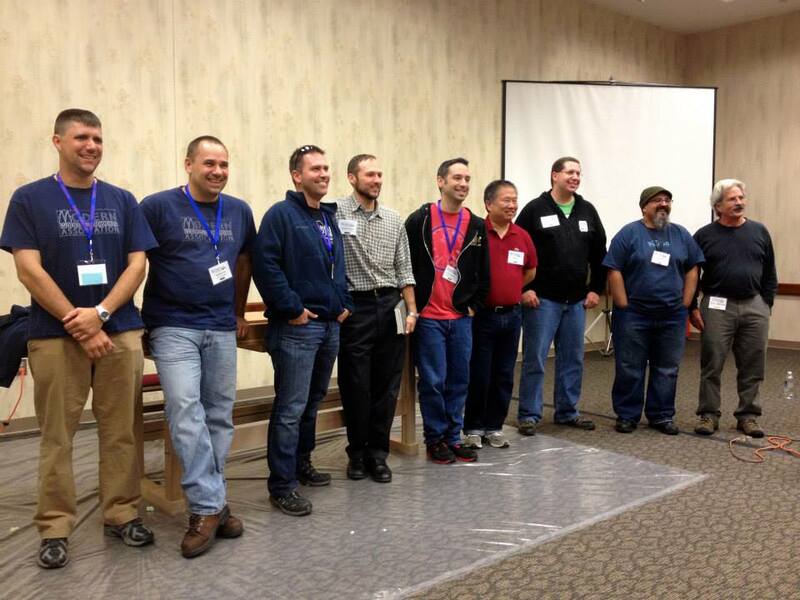 This week we are dedicating #FollowFriday to the Online Woodworking world, specifically those who were featured at the WIA 2013 Online Woodworking Roundtable. One of the greatest things about all of these woodworkers is that they all seemed to know each other, as if they were close friends, and yet most of their interactions outside of WIA have been through the online woodworking community that they have helped create. 5. Steve Schuler– Steve is an english professor and the blogger behind The Literary Workshop, as well as a moderator on the Woodworking Hand Tools Forum on WoodNet. 11. Mary May– (not pictured) Mary May was one of the featured instructors this year and was a surprise guest on the online woodworking panel. She is the founder of the Mary May Online School of Woodcarving. Stay tuned for video coverage of this very informative roundtable and make sure to follow all of these woodworkers on both Twitter and their websites!